The IN VIVO Blog: These Days, You Can't Spell Financings Of The Fortnight Without "I-P-O"
These Days, You Can't Spell Financings Of The Fortnight Without "I-P-O"
And it turns out a lot of biomedical companies have IPO in them, too. Since we last met 14 days ago, dear reader, a stunning 13 biotechs have made their public debuts, although if not for Eleven Biotherapeutics, it would have been 12. But with the momentum that began in earnest last spring showing no signs of tapering off, we're curious about a different indicator: insider purchases. As soon as IPOs began to rebound from the financial crisis, insiders often did heavy lifting to get the deals off the ground. But those levels began to decline in 2013, as Atlas Venture partner Bruce Booth noted on his blog last fall. He also noted that insider participation could signal a cooling of the market. Well, yes, but as we noted on this blog in early 2012, it's hard to draw conclusions about deal-by-deal participation. Is heavy insider presence a sign of desperation to get a deal done, or is it a sign of singular enthusiasm? With crossover investors already on the cap table and wanting more at IPO, and with some VCs playing more frequently on the public side of the fence, it can be hard to tell. What's more, SEC filings don't always divulge the true level of insider participation. That's an average of 16% raised from insiders, but with caveats: some of these numbers (highlighted green) are based on filings which note that insiders indicated an interest of purchasing a certain amount. At the time of this writing, it's not clear whether they actually pulled the trigger, but often those indications don't change much. Other caveat: The percentages don't factor in the green shoe. In other words, some of the numbers you see above will change as more information emerges. For what it's worth, our own IPO data show insider participation in 2013 averaged 14%. It's hard to say what all this means. Two years ago, when insiders shouldered heavy IPO loads -- taking on more risk instead of getting to precious exits -- it was easier to wonder about the desperation of it all. But now, more early stage biopharma investors (Third Rock Ventures, Flagship Ventures, OrbiMed Advisors, 5am Ventures and so on) are squaring the circle, from fundraising to new investment to IPO and back again, and biotech's boom means those extra IPO shares, if you can afford them, could be a lucrative proposition. And as our START-UP colleagues noted last year, biotech VCs haven't been shy about holding... and holding... and holding their shares well past IPO. 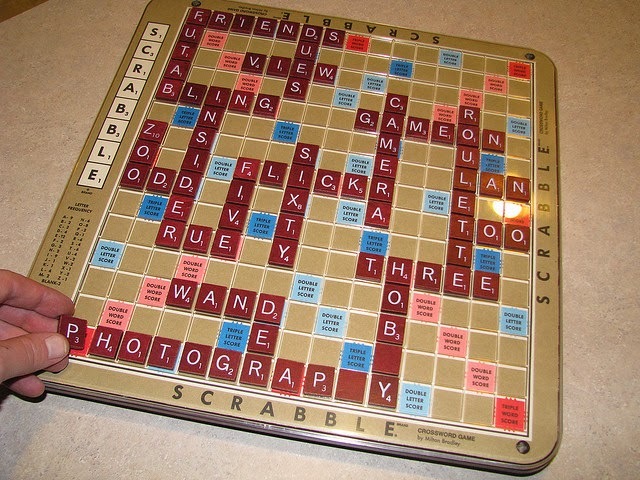 Many thanqkxs to Mr. Thomas for the Scrabble photo via a Creative Commons license.